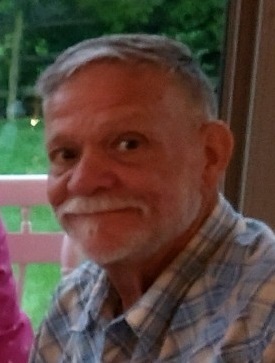 Anthony “Tony” Depta, Jr, age 69, of Seaford, DE, formerly of Littleton, PA passed away on Saturday, November 10, 2018. Tony was a Journeyman Lineman for the International Brotherhood of Electrical Workers for 42 years. He was a 4th degree Knights of Columbus, he loved to hunt and ride motorcycles. He is survived by his wife of 38 years, Carolyn Depta, 2 sons, Anthony Depta III (Amanda), Jeremiah Depta (Carly), a stepson, William Mosher, 2 grandsons, Andrew Mosher and William Depta, 1 granddaughter, Kristen Mosher, 2 brothers, Frank Depta (Debbie) and Mark Depta, 3 sisters, Barbara Edwards (Ron), Donna Elford (Dale) and Christine Stamper (JD) and many nieces and nephews. Mass of Christian Burial Will be on Thursday, November 15th at 11 AM at Our Lady of Lourdes Church, 532 E. Stein Hwy, Seaford, DE. Friends may call at the Cranston Funeral Home 300 N. Shipley St, Seaford, DE on Wednesday evening from 6 to 8 PM. Burial will be in Our Lady of Lourdes Cemetery. In lieu of flowers the family suggests donations may be made to the American Cancer Society, P O BOX 22478, Oklahoma City, OK 73123.